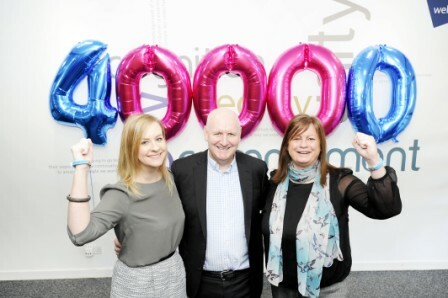 Webhelp UK, a leading BPO provider, has raised £40,000 for Cancer Research UK after nominating the organisation as its national charity in 2015. Colleagues across Webhelp’s 12 UK sites raised the total by organising, and participating in, various activities and events including bake sales, dress down days and setting up donation stations for its colleagues to donate unwanted items. The customer experience provider smashed its initial fundraising target of £15,000 by £25,000 – which represents an additional 167 per cent. A standout example of Webhelp’s fundraising efforts comes from its Kilmarnock site in Scotland, which participated in a sponsored climb of Ben Nevis – raising £2,300. The total money raised will now go towards supporting the invaluable work that Cancer Research undertakes to provide support to communities across the country. Sarah Johnston, ‎local fundraising manager at Cancer Research UK, assisted the Webhelp UK sites with their fundraising activities throughout 2015. Sarah commented: “I would like to thank Webhelp UK for the fantastic amount they have raised and the outstanding contribution they have made to our life saving research. From climbing Ben Nevis to bake sales and dress down days to Race for Life, the Webhelp UK staff have really got behind Cancer Research UK. “Money raised allows Cancer Research UK’s doctors, nurses and scientists to advance research which is helping to save the lives of men, women and children across the UK. Be the first to comment on "Webhelp UK Stands up to Cancer and raises £40,000"